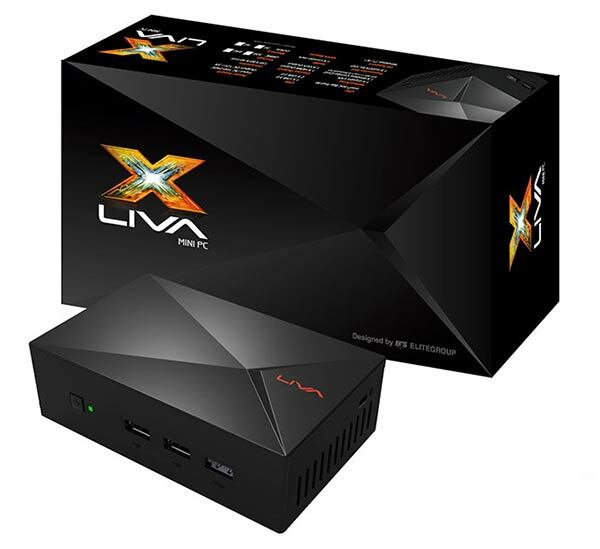 ECS has expanded its LIVA mini PC range with the new LIVA X. This tiny 'smaller than a cola can' PC was shown at CES last week and launched today. Despite its palm size dimensions of 135 x 83 x 40mm the ECS LIVA X offers a decent amount of silent performance, a plethora of ports and some expansion options. The ECS LIVA X can run a variety of operating systems including Windows 7, Windows 8.1 and Ubuntu Linux. Depending on your region it will be sold with Windows 8.1 with Bing bundled in for free. It is based upon an Intel Bay Trail-M/Bay Trail-I SOC offering 64-bit dual-core performance of up to 2.25GHz. Looking at its connectivity options you have USB 3.0, 802.11 a/b/g/n Wi-Fi, Bluetooth 4.0, Realtek RTL8111G Gigabit Ethernet and dual monitor capabilities available. Memory options are 2GB/4GB of DDR3L RAM and eMMC storage of either 32GB/64GB built-in. 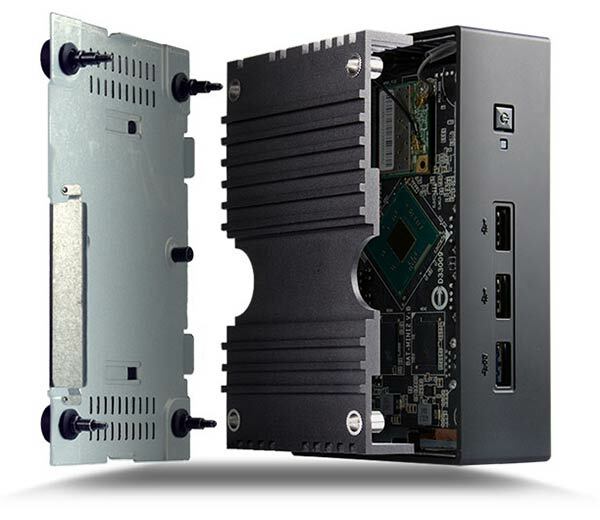 The expandability alluded to previously is internally via the mSATA slot, for installing an additional SSD storage device, and externally via a range of USB 3.0 peripherals. Another key component you will find in this system is the Realtek ALC283 HD audio chip. For discrete and tidy 'cable-free' installs the tiny fanless chassis can be natively VESA mounted to a screen/TV rather than just sitting somewhere near the display. As mentioned earlier it is silent, furthermore its Bay Trail processor demands less than 15W. The system comes with an external power AC 100-240V power brick outputting DC 12V / 3A. At the time of writing the LIVA X machines are said to be due in retail shortly, ranging from just over $200 to around $250 depending on memory and storage options. I'm sure they could have worked something out for an internal psu even if it meant making it a little bigger.